New Vinyl For Garment Heat Pressing!! Perfect For Making Your Own Tshirts, Hoodies, Garments and so on. 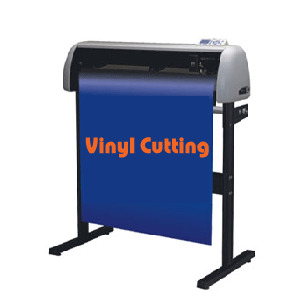 High quality, affordable vinyl for garment heat pressing. 4 colours to choose from (Black, White, Blue and Yellow). 500mm wide x 20m per box per colour. 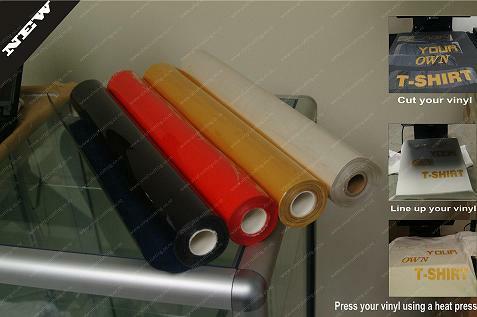 These rolls can be used for both 720mm Vinyl Cutter Plotter machines and 1360mm Vinyl Cutter Plotter machines. 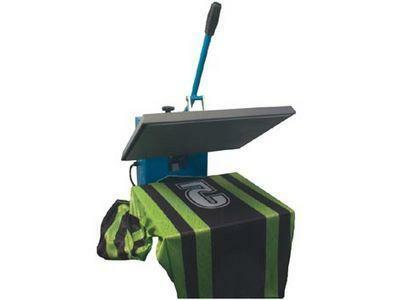 Using a vinyl cutter you can cut out your words or logos or whatever you like apply it to the tshirt and by using one of our high quality heat press machines your image will transfer to the garment. This product is for garments with Hand Wash only.